Archeologists preserved the bodies of the victims with plaster, creating casts of the bodies that looked exactly as the person had when they died, right down to their facial expressions and the details on their clothing. I am so jealous! I feel bad for the stray doggie though! So fun! I loved Naples! Ahhh! 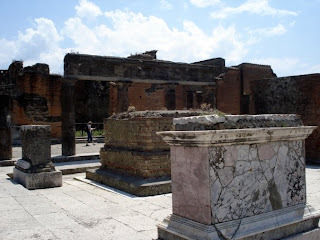 I went to Pompeii. 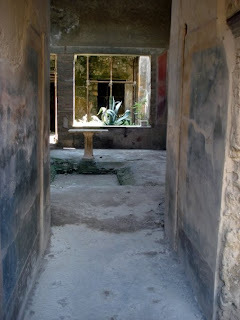 So crazy that they were able to preserve so much..
Did you get to see the brothel in Pompeii? Also, it's so strange that there are dogs at all ruins....my friends and I noticed that too! Ah, isn't Pompeii fun? Loved that entire region. 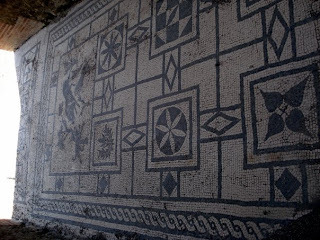 And I just want to adopt that poor Pompeiian puppy - too cute. what great pictures! 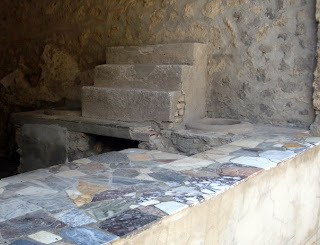 i have never been to pompeii and really want to go some day. miss you! It looks so beautiful! I would be a sucker for the stray dogs though. I can't wait to visit Naples some day. What a wonderful trip, I love Southern Italy! Let me know when you're back, miss Nautical DC! Great pictures! I loved Pompeii. I found it so fascinating. My husband was obsessed with the bodies in the glass...we have more pictures of that than anything else there...creepy! Had so much fun tonight (technically last night since it's 1:00 am on Sunday). Thanks for having us over, by the way! I remember learning about Pompeii and the eruption of Mt. Vesuvius in Latin in eighth grade! 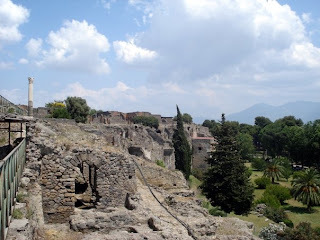 Pompei is one of those places on my "must visit someday" list. Thanks so much for sharing since I don't know when I will get there.